Integration/Design Single Region Only - Your business will be listed as a Security Integrator/Designer in the region of your choice, depending upon your regional coverage - data will be taken from your website indicating nature of business, expertise and special skills plus contact details. (price per month - PLEASE ENTER THE NUMBER OF MONTHS REQUIRED IN THE QUANTITY BOX) Be sure to take advantage of multi-month discounts! If you operate in multiple regions call +44 7720299482 and we will arrange a multi region listing for you. From 6 to 11 : £5.00 discount on the price indicated. From 12 to 23 : £8.34 discount on the price indicated. From 24 : £10.00 discount on the price indicated. 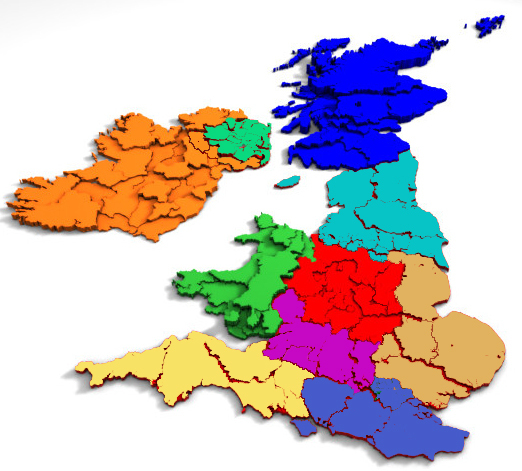 For convenience and ease of use the Directory has been divided into 10 regions covering the British Isles and ROI. Your business can be listed in any or all of these sections depending upon your regional coverage indicating nature of business, expertise and special skills. Your company’s entry will contain contact details and a short profile, map and links to website and social mecia which will enable potential customers to identify exactly who has the knowledge, where they operate and how to find you. There is also an opportunity for your customers to rate your company and provide reviews of your services.